On the front of the penny we see an image of Abraham Lincoln. Even though a coin is a small space, it’s a public space and the words and images belong to all of us. When we pass a few pennies to a cashier, we’re probably not thinking about Lincoln’s role as a courageous unifier of the nation, a liberator of slaves. But the Lincoln icon and the values he stood for are unconsciously reinforced. 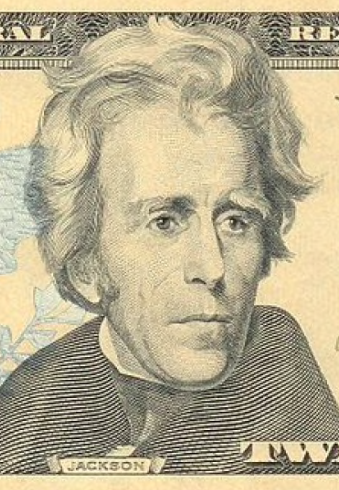 And every time we spend a 20-dollar bill we see Andrew Jackson, with his large forehead and long wavy hair. He is embraced today by the white far right as a populist. President Jackson is known for his key role in a white land grab when he signed the Indian Removal Act that forced native Americans to leave their ancestral lands in the South and march to current day Oklahoma. In what became known as the Trail of Tears, exposure to the elements, extortion, violence, disease and starvation caused the deaths of thousands. Cherokees named him “Indian Killer.” He was also known for harsh treatment of his own slaves and he fought to expand slavery in the west. While Jackson’s image takes up a small public space it’s one that’s visited by millions every day. Equality may be legislated, but our culture must embrace it in every way for it to become a reality and erase the lines that have been drawn between us. Women On 20s is one small way to join Americans in a big cultural hug and acknowledge that symbols matter—especially the pictures we put on our money. When we have a woman on our bills, we will connect women to their value throughout history, literally validating their abilities and potential through the millions of bills passing from hand-to-hand every day. The group’s initial list of 200 candidates was winnowed down in several rounds, and in 2015 the group asked people to pick one woman from a field of 15. The process was designed to encourage a national conversation—from coffee shops and dinner tables to the media—about which woman was best for the bill. 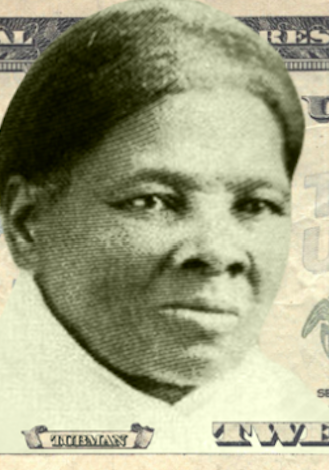 More than 600,000 people voted and Harriet Tubman emerged as the winner. Andrew Jackson’s portrait currently hangs in the Oval Office, and the fate of this plan under the Trump administration is less certain. Progress has slowed. But we’ll get there! It won’t be long before a new president has replaced that Oval Office painting with one that inspires us all to work for a greater nation. As Martin Luther King, Jr., said, “the arc of the moral universe is long, but it bends toward justice.” And soon, as we hand our twenty-dollar bill to a cashier, we’ll see a different face. She will remind us, even if we’re not aware of it, that the arc always bends toward justice.